Home SuperSeed Originals The Wanderlist The Beautiful Dolomites! : 4 Views that you have to see! The Dolomites, is Italy’s mountain range in the North East. Spanning 350,000 acres with 18 peaks, the views are breathtaking and a must see if you are in the region. 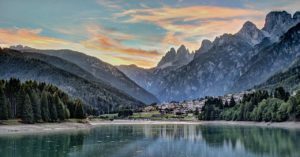 These are 4 must see views of The Dolomites. 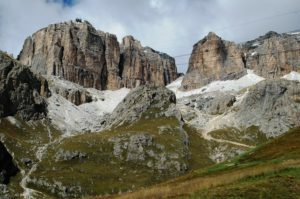 Sass Pordoi is between the Sella and Marmolada groups of Dolomite mountains. You will be able to get there by car. At 7,346 feet, the road is the highest surfaced road in the Dolomites. If you want to go even higher there is a cable car available to bring you to the summit. But no matter how you get there, this is a sight you don’t want to miss! Some of the most beautiful views in the Dolomites are in the Brenta Grouping. Which is North West of Trento. There are many walking trails here to enjoy the beautiful scenery, most are easy walking paths but there are some that only serious mountaineers will be able to handle! 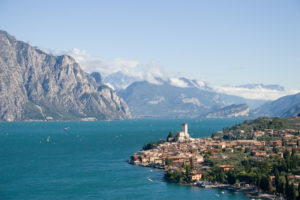 Drive up to the north of Lake Garda and enjoy the stunning views and small towns surrounding the picturesque lake. Not to mention You will also be able to avoid the large tourist crowds here! Visit the postcard worthy ancient town of Belluno. 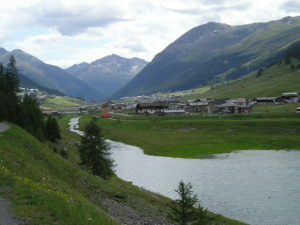 With around 75,000 inhabitants, it is one of the most important towns in the eastern Dolomites. One of the highlights is watching the sunset go over the town with the magnificent Dolomites in the background! Like this article? Share it with your friends, or check out more in our Travel category! Check out The Wanderlist on our YouTube channel! Previous articleYiKouWei: Red Velvet… PINEAPPLE TARTS?! Next articleHealthy Scallop with Fruit Salad!